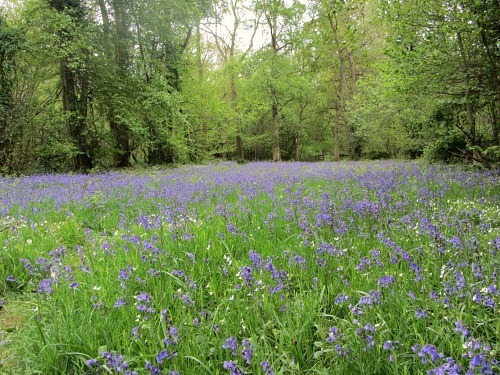 Foxley Norfolk is home to one of the most spectacular bluebell woods in the UK. It’s a stunning sight to see and really takes your breath away. 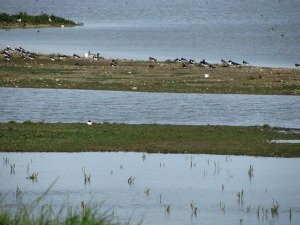 It's also one of Norfolk's very special Nature Reserves. 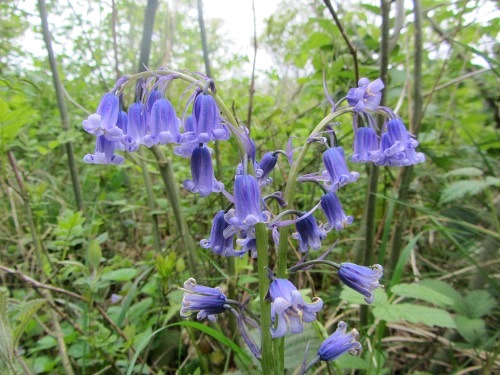 Visiting Foxley Norfolk in late April or early May, you’ll be guaranteed to get the best out of this bluebell experience. The postcode is NR20 4QR. 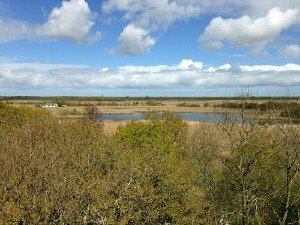 However, if you’re not around in Norfolk during those months, then don’t cross it off your list because it’s still a beautiful wood to walk in, whatever time of year, especially if you're a keen naturalist. Dogs, however, are not permitted. The Wood is thought to be about 6,000 years old, and is even mentioned in the Doomsday book! 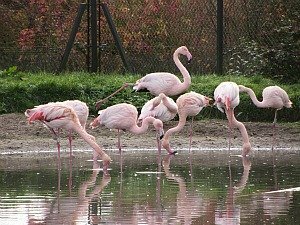 In 2002 it was recognised as a National Nature Reserve. 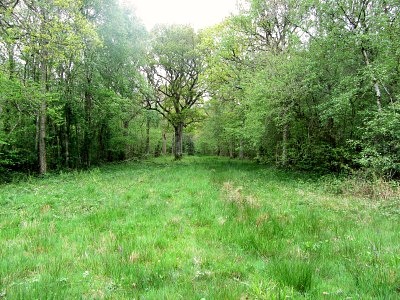 Norfolk Wildlife Trust purchased Foxley in 1988 and have been restoring it ever since. When they bought it, it was covered in conifer trees which they removed, and have been using the traditional method of coppicing, which you can easily see as you walk around. 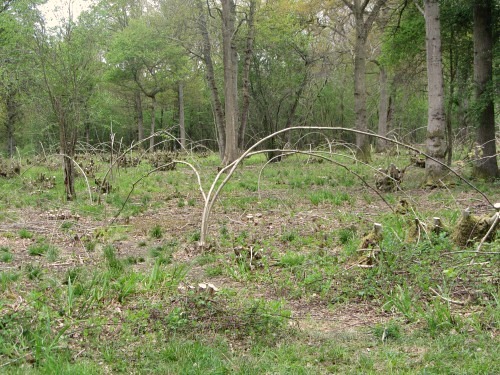 This entails cutting trees right down to the ground, letting new shoots spring up from the stumps and then harvesting these stems every 7-10 years. It is one of the most tranquil, serene and calm woods to walk around. Peace and quiet abound. 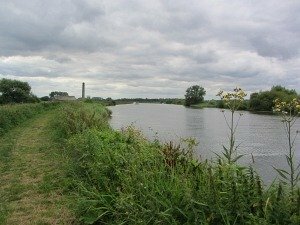 It has a well-trodden and well-marked circular walk, and has wide “rides” as they call them, that criss-cross the woods. 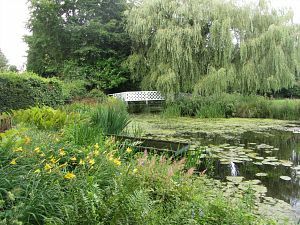 These were paths originally designed for moving the wood which had been cut down, but now they are covered in woodland grasses and flowers, and at certain times are year produce wonderful flowers, as well as attracting a myriad of butterflies. 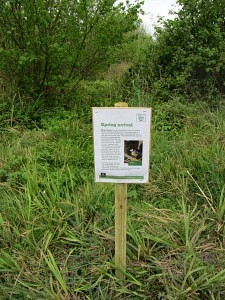 The Norfolk Wildlife Trust have also put boards up along the way, giving you interesting snippets about the trees, flowers and the woodland itself. 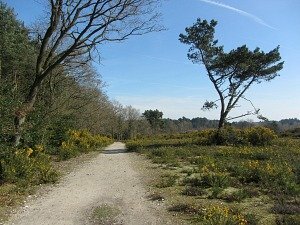 And as it’s one of the oldest woods in Foxley Norfolk, there is a plethora of wildlife here with woodland birds, as well as being home to more than 250 species of plants. 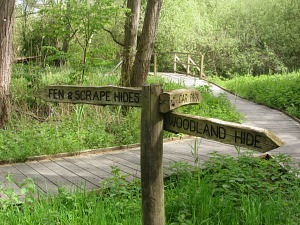 So if you’re a keen naturalist, then Foxley wood will be a fascinating place for you. 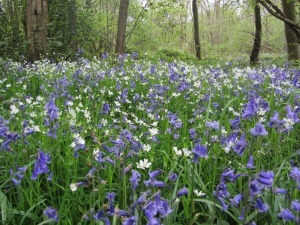 Foxley Wood is most popular during the Spring, when the wood is covered with a carpet of incredible blue. Until you visit here, you really won’t know what you’re missing. 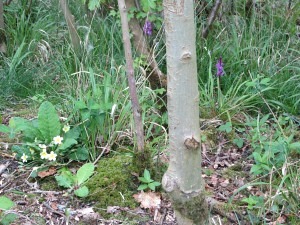 It isn’t just a wood with a “few” bluebells, the place is literally covered in them. 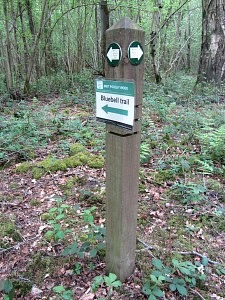 From the car park, you take the signs for the Bluebell trail, and follow those, through the woods towards your bluebell destination. 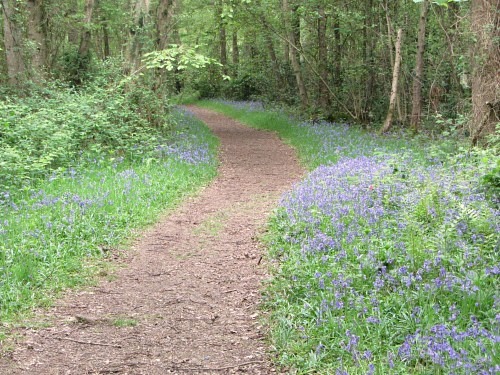 At first you come across a few bluebells on your path, and you think “oh lovely”. Then……… you arrive at what can only be described as a sea, or river of blue. 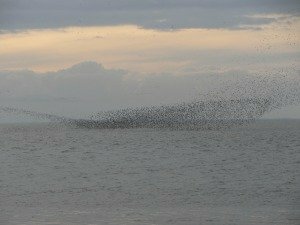 It literally is like the sea, and they go on for as far as the eye can see. There’s a bench where you can sit and just marvel at this extraordinary act of nature. 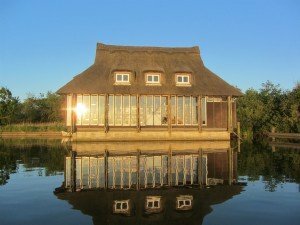 Don’t forget your camera, it’s a great opportunity for many photos! 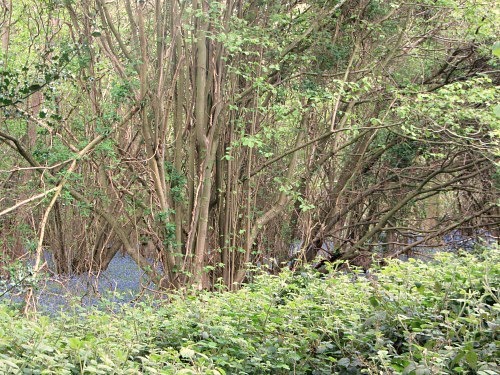 These bluebells are really worth making the effort to see. 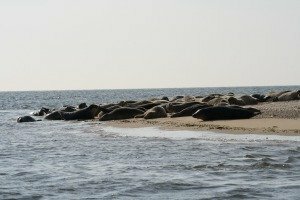 Arrange a weekend to come and see them, (you could visit Sculthorpe Moor and Pensthorpe Wildlife Park which are quite close to Foxley Norfolk). 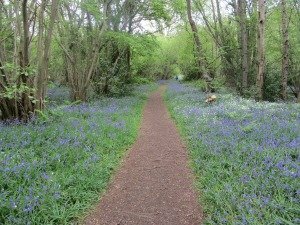 I wish my photos would do this bluebell walk more justice, but it’s one of those sights that I urge you to make a note in your diary to come and see. 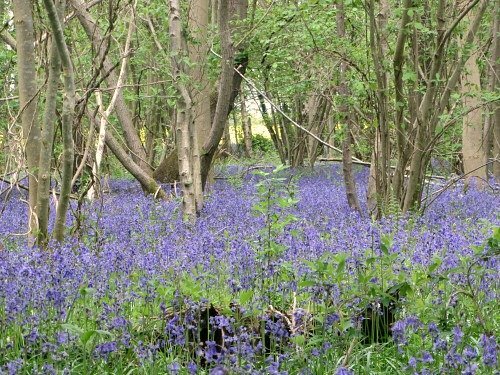 If you want peace and tranquillity, away from the hustle and bustle of everyday life, then why not take yourself along to Foxley Norfolk and walk through this lovely ancient woodland, even if it's not for the bluebells. 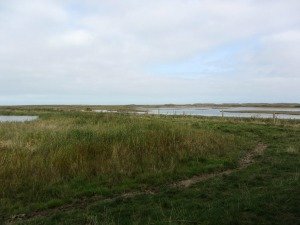 Norfolk Wildlife Trust has about 30 sites in Norfolk, the most well-known being Cley Marshes on the coast, and Hickling Broad, in the Norfolk Broads, but why not enjoy some of their other sites, which you’ll find here on the Norfolk Wildlife Trust website. 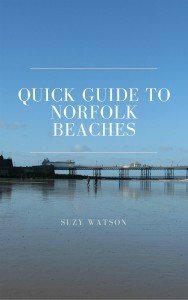 We have so much on our doorstep in Norfolk, why not enjoy all it has to offer! 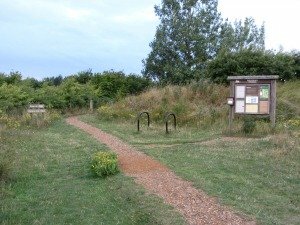 For opening times of Foxley Wood, please see my note on the top right hand side of this page.